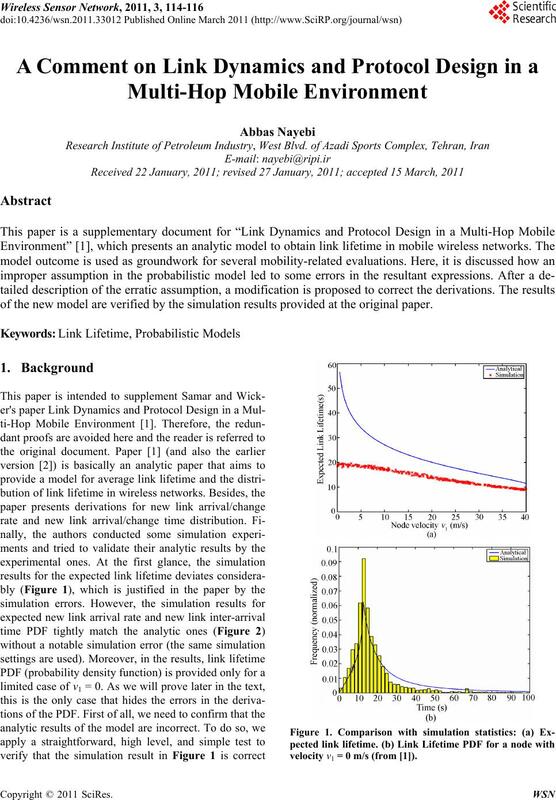 of the new model are verified by the simulation results provided at the original paper. 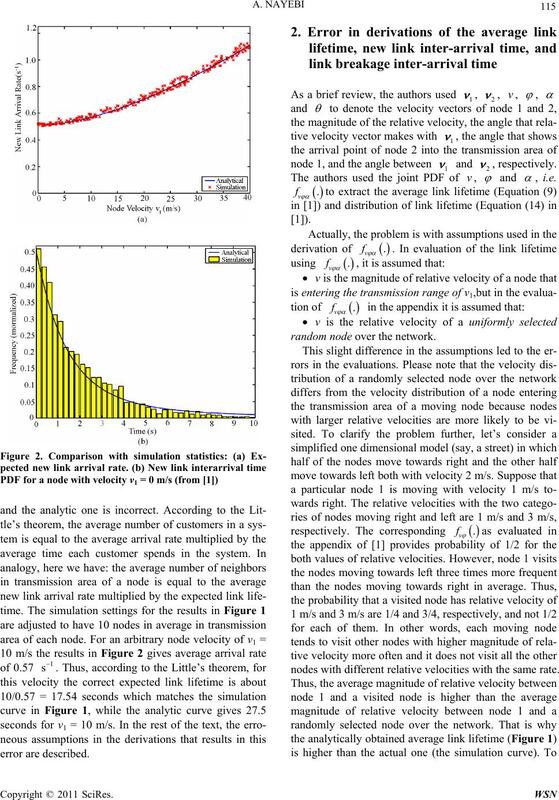 velocity v1 = 0 m/s (from ). random node over the network. nodes with different relative velocities with the same rate. 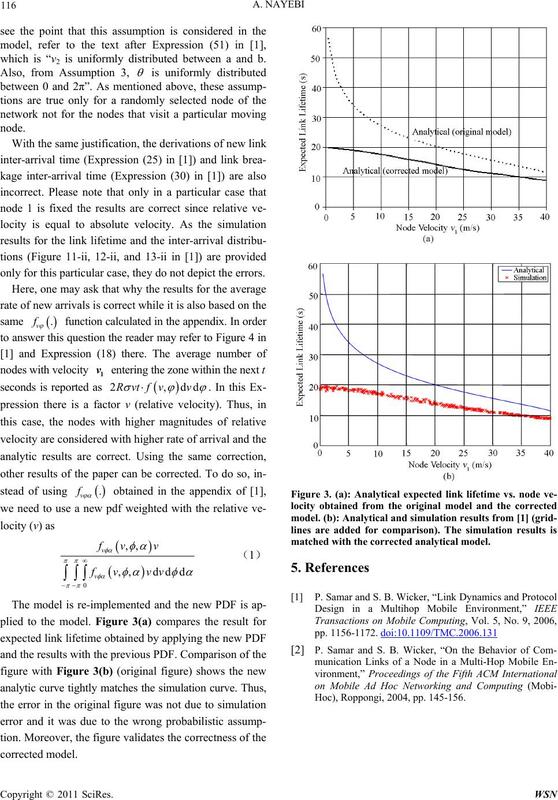 which is “v2 is uniformly distributed between a and b.
only for this particular case, they do not depict the errors. matched with the corrected analytical model. Hoc), Roppongi, 2004, pp. 145-156.